Devarya Wellness 200 Hour Yoga Teacher Training offers authentic teachings presented with a relaxed, modern and progressive approach. 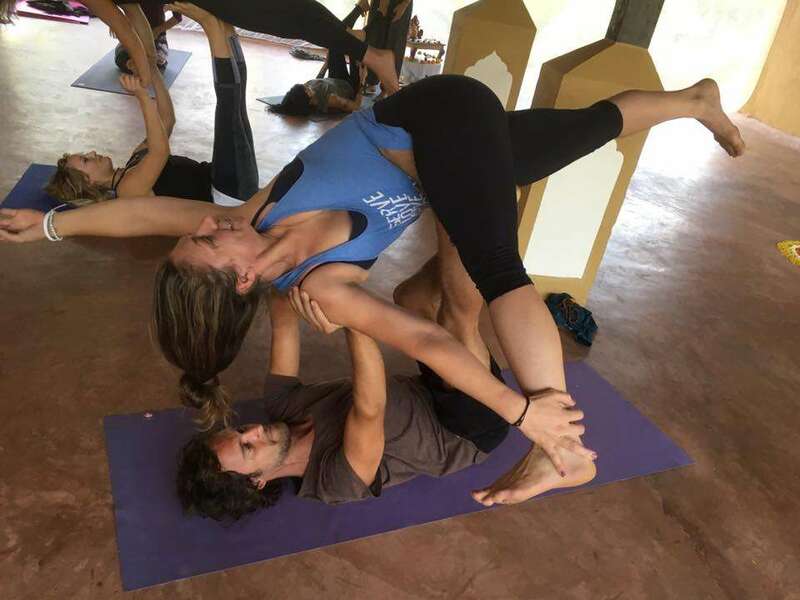 It's a balance between working hard and having fun with Ashtanga, Hatha and Vinyasa practices and exploring various yogic techniques, and disciplines to facilitate transformation, spiritual growth and personal development. Free from dogma or doctrines we encourage trainees to explore what works for them as individuals to deepen their self-practice and develop the skills and understanding to teach yoga with confidence and clarity. More than just a yoga training this course is an intensive immersion to explore and nurture through practices that facilitate physical, emotional and mental growth and empowerment. Experienced passionate teachers lead a journey of yogic living, conscious eating, self-nurturing and self-love guiding you towards making positive and beneficial changes that support a more holistic, healthy and yogic lifestyle. This retreat situation offers a unique 'time out' from your usual day-to-day activities and gives you the perfect opportunity to assess, and reflect on, the current relationship you have with yourself and with the world. It's an invitation to embody and embrace the essence of yoga, to find union within all aspects of your Being. There is a special emphasis on building sensitivity & awareness to explore and experience the subtle bodies, to access different levels of consciousness and to connect to the divinity that flows within you and around you. Ultimately the training offers a practical approach to yoga as a tool for daily living aiding you to discover practical ways to integrate the teachings into all aspects of your life. This course gives you the tools and inspiration to revitalise your life on all levels. 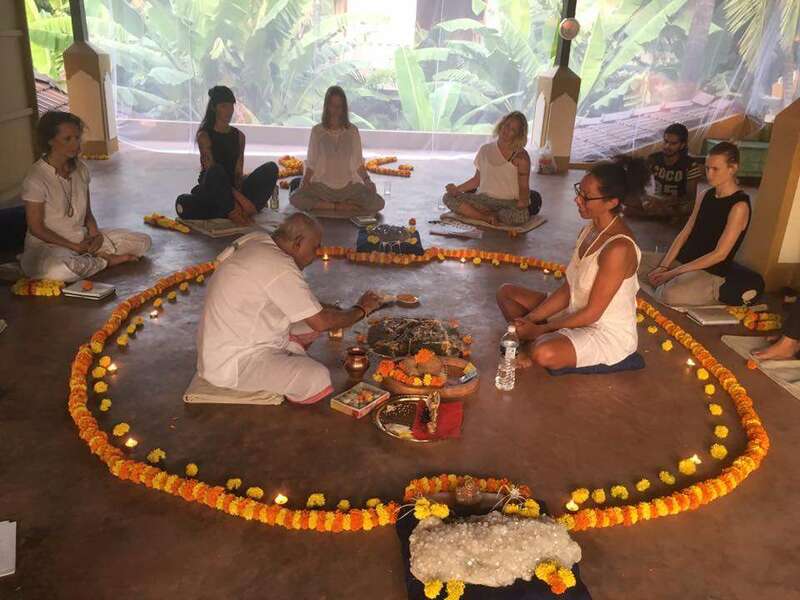 The asana, pranayama, meditation, conscious eating program, purification techniques, chanting, philosophy and ‘down to earth’ fun, yet studious atmosphere combine to give you a truly magical and unique journey of transformation & self-discovery. Devarya is passionate about providing quality retreats and yoga teacher training courses. Our longstanding relationship with Tribe international yoga school has given us the opportunity to invite the Tribe teaching team into Devarya and offer our own in-house yoga teacher training. 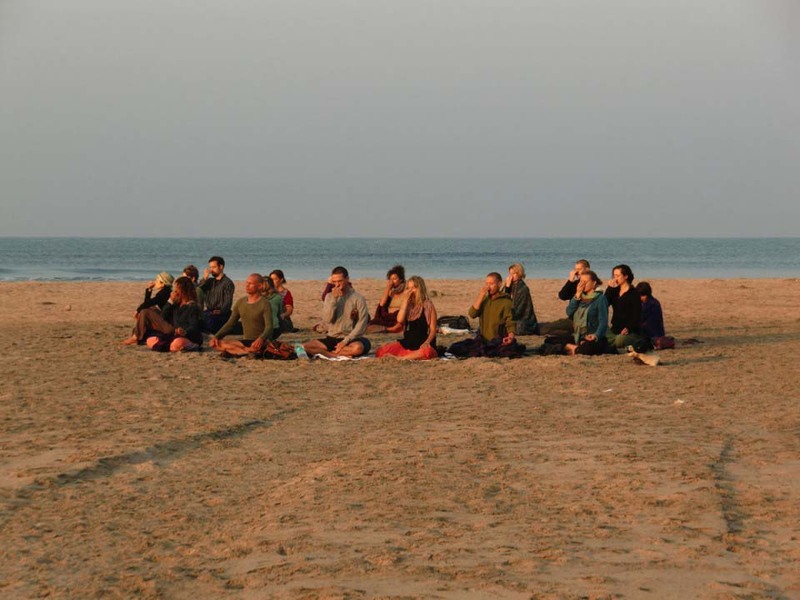 This training brings together yoga lovers from different countries and backgrounds to share a journey that often leads to dramatic life changes and the beginning of life-long friendships. 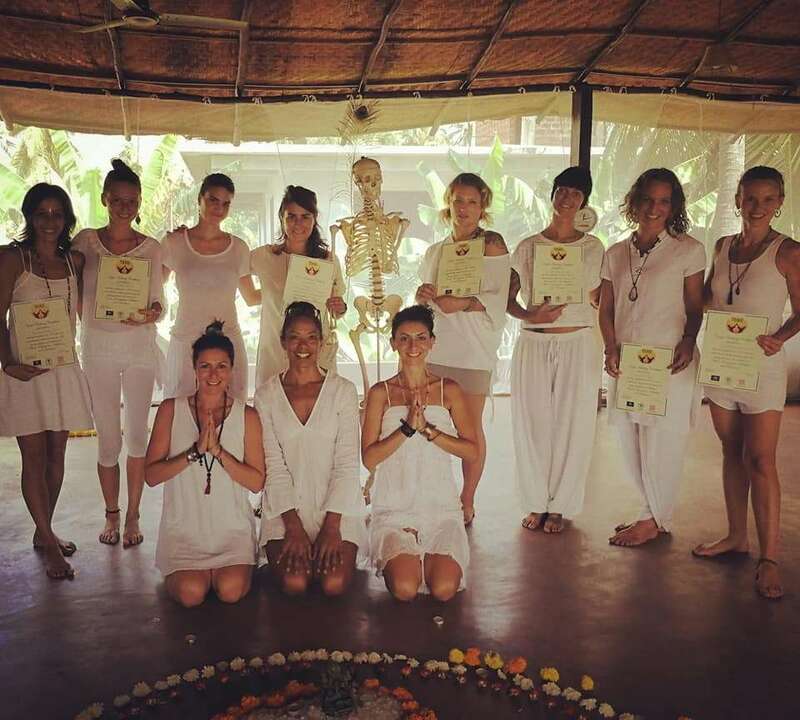 We have many students come to us through via a recommendation from Tribe graduates or Devarya Wellness guests who fondly remember their training as a 'once in a lifetime experience and magical journey of transformation & growth'. The training is much more than just yoga practice on the physical level. It's a special and sacred journey led by wonderful teachers sharing their expertise, experience and passion. This course supports you to build skill and confidence in yourself and your practice so you share what they love. By the end of training, you will be amazed by your progress and your ability to teach a 75 minute yoga class. Being exposed to the right teacher is critical for your spiritual education. Together, Rory, Olga and Kali offer many years of teaching experience. And Tribe teachers don’t just teach yoga, they live it! As well as supporting you to deepen your understanding and practice of yoga on the mat the Tribe teachers will guide and inspire you towards a more wholesome and holistic lifestyle. On successful completion of the training, students are issued with a certificate that states they have completed the required 200 hours of study, practice & training. The certificate you receive is globally recognised allowing you to teach whatever you practice in a professional capacity. This training is not a yoga holiday. 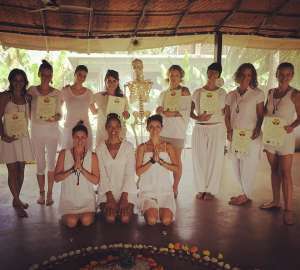 It is suitable for students who would like to study all aspects of themselves through various yogic disciplines and practices offered by the Tribe team of teachers. Students must be in general good health and be prepared for the positive physical, mental and emotional challenges that the training presents. You don’t need to be a yoga expert to attend the training. All levels of practitioners are welcome. 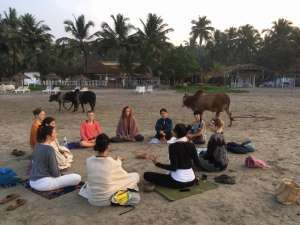 Please note: Pranayama and meditation techniques included on the course can produce deep and profound purification effects so this course would not be suitable for anyone suffering from serious emotional or psychological imbalances. We are not biased to any particular religious doctrine and therefore teach without dogma. The philosophy sessions are a way to use the support and wisdom of various teachings to come into a more intimate and honest connection with our true Self and to see how much we can penetrate and maybe dissolve the veil of our illusions and confusion that distracts us from our true nature. Highlighting traditional yogic text, teachings, paths and influence from the past and present. Many students find their way of thinking and feeling transformed through positive and beneficial shifts throughout the course. Our special module of conscious living and in particular conscious eating paves the way for practical changes and new choices to be made. Tribe teachers transmit an experiential understanding of the basic fundamental principles of yoga posture practice: a stable foundation, free breathing, expression of the bandhas and a soft core, according to the dynamic yoga method. To offer a variety of sequencing and postures asana classes vary between modified primary series, Vinyasa Flow, Hatha and restorative classes. Tribe teachers offer continuous guidance into, out of and during postures supporting students to go deeper with a growing sensitivity and understanding. The focus is to establish comfort and stability and cultivate an awareness that leads to a more meditative and integral practice. There are weekly self-practice sessions to assess the individual practices of trainees and offer direct feedback. These sessions are an opportunity to express oneself in a spontaneous, free, unique and individual way. You are encouraged to practice and develop your own rendition of sequencing and postures that suit you. Or if you prefer you can practice the modified primary series. Breathing is so simple and so obvious that we take it for granted ignoring the power it has over the mind, body and spirit. Pranayama is paramount to our yogic practice offering us an intimate way to access and connect to the more subtle aspects of our Being. The training includes a broad range of pranayama techniques that present a gradual yet deep exploration of the power of the breath. At Tribe we introduce various relaxation techniques such including guided Savasana, Yoga Nidra etc supporting deeper states of concentration and meditation. We at Tribe feel that meditation is the fundamental practice of a yoga practitioner. If you don’t have a meditation practice then the Tribe training will be a great opportunity for you to begin to develop one. If you do have a meditation practice then the training will probably serve as a fabulous arena to practice new meditation techniques that may help to deepen your current practice. It is compulsory for all trainees to take part in the meditation practices presented on the training. Some of you that are new to meditation may find this physically and mentally challenging. The meditation is simple in method but it is not so easy to sit for long periods and observe the mental chatter of the mind. The Teachers will be able to offer you the support and encouragement that will help you to embrace the practice. One of the aims of the training is to create competent and confident teachers. This comes through time and practice. Throughout the training ample time is allocated to practice teaching. Our teachers continuously give guidance and sharing their own teaching approach. On completion of training, all successful trainees can teach a 75 min yoga class. The training introduces breath, bandha, foundation and core as the fundamentals of safe and effective yoga posture practice. We highlight correct alignment whilst at the same time transmit the understanding and application of alignment that emerges spontaneously when the basic fundamentals are established. So that alignment changes from being something intellectualised or enforced into an unfolding of the inherent natural integrity of the body. Modifications are presented as alternatives that offer the possibility of feeling and experiencing a posture in a comfortable and steady way. With appropriate modifications, we create comfort, stability and stillness which facilitates a dialogue with the body without the usual judgment of right or wrong. Verbal and hands-on adjustments are explored to effectively guide students into and out of postures. We feel that performing adjustments requires a degree of understanding and experience that is not necessarily possible to attain in the limited time available. Therefore we focus on the principles of adjustment in a selection of standing postures, seated postures, twists, backbends and inversions. These basic principles develop adjustment skills and awaken the understanding of how to articulate a student’s body so that they can become steadier, more stable and advance deeper into any given posture. As part of the training we offer a sensible, pragmatic and safe approach to sequencing and structuring a Yoga class. Whether you prefer a flowing asana practice or a more direct emphasis on individual postures here you will develop the ability to structure a class safely, intelligently and creatively. A big favourite of students Yoga Nidra sleep is a special state of introversion where the mind dwells between wakefulness and sleep-producing relaxation, calmness, quietness, clarity and a deep meditative state of consciousness. The history and application of this ancient practice are explored through lecture and practical sessions. In life, we develop bad habits and patterns of movement that limit us physically and emotionally losing the freedom of expression that our bodies are born with. We need to re-establish the ability of the body to move through its fullest range of motion and re-discover the correct alignment that can make us feel lighter and enable us to move more effortlessly through space. Through anatomy, we explore the functioning of the body, both intellectually and experientially, so that we can move our bodies more effectively and more efficiently. The physiology aspect of the syllabus offers a peek into the different systems of the body to gain insight and understanding of both the physical and subtle bodies. Through traditional Hatha teachings, we help you to truly understand what the chakras are and how you can use that understanding in practical terms on and off the mat. Learn what postures activate which chakras, understand the energy system of the body and more. In the first week of the training, there will be an introduction to some basic kriyas. Such practices are generally performed first thing in the morning after getting out of bed. Having been introduced to the various techniques it will be up to each individual to continue with the practices independently throughout the training. This will require a certain degree of self-discipline and commitment that we hope all trainees are prepared for. Chanting is a special practice to open the heart and connect to the subtle energies of the universe. We use traditional and modern chants in Sanskrit, Hindi and English. Informative sessions designed to support you to set up and navigate through the yoga world as a successful teacher.